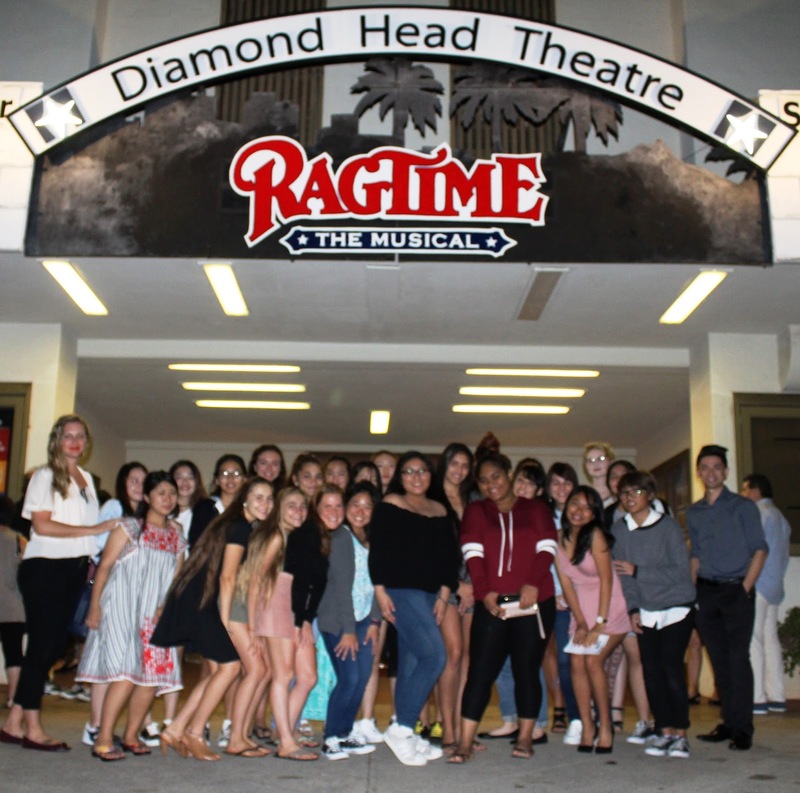 On September 20th, twenty-five Academy students comprising of Mrs. Chloe Smith's "Stage & Screen" students and Mr. Zachary Moore's choir students graciously accepted the invitation extended by Diamond Head Theatre to attend a preview production of Ragtime. Ragtime is a magnificent and deeply moving musical that tells the story of three ethnic groups in the United States in the early 20th century. Mrs. Smith established a relationship with DHT several years ago, and ever since then, the theatre has been generously donating preview production tickets to Sacred Hearts Academy girls. Much thanks and gratitude to Diamond Head Theatre for providing these outstanding opportunities for our students to enjoy a high-caliber production at a vibrant local theater in the company of friends.